"We've had a lot of wonderful trips in this ole rust bucket." A new official international trailer from the UK has debuted for the indie roadtrip comedy The Leisure Seeker. This film actually premiered at the Venice and Toronto Film Festivals last fall, mostly because it's directed by a veteran Italian filmmaker named Paolo Virzì. The Leisure Seeker stars two great actors - Helen Mirren and Donald Sutherland - who go on an unforgettable journey in the faithful old RV they call "The Leisure Seeker" as a runaway couple. The film's cast includes Christian McKay, Janel Moloney, and Kirsty Mitchell. The emotional side of the story is that Sutherland's character is losing his memory as they get older, and this may be the last vacation they'll remember together. It received mostly bad reviews at festivals, but looks like it might appeal to a few folks. 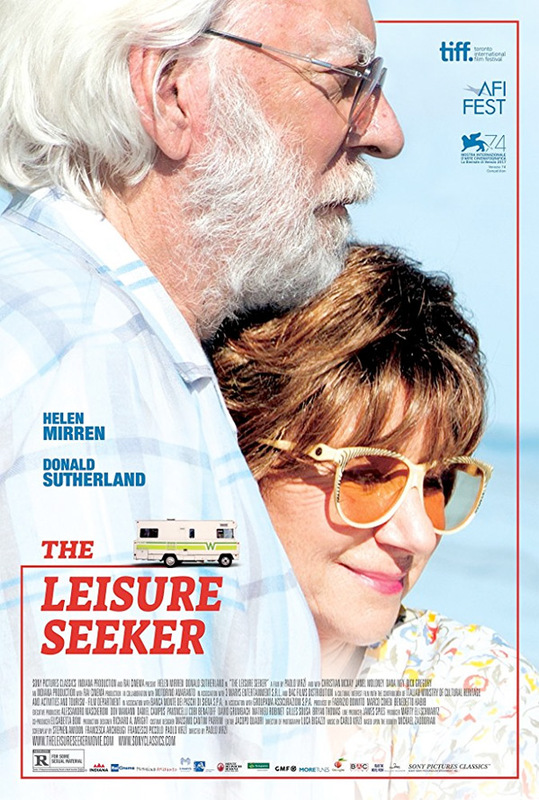 The Leisure Seeker is the nickname of the old RV used by Ella (Helen Mirren) and John Spencer (Donald Sutherland) to take vacations with their children in the 1970s. On a summer morning, desperate to escape a destiny of medical care that would have kept them apart forever, the couple astonish their meddling adult children by hopping on board that dated vehicle and dashing down Old Route 1 towards Key West for a new adventure. Their trip through an America they no longer recognize – mixing hilarious moments with others of pure terror -- is their chance to retrace a married life nourished by passion and devotion, but also by secret obsessions that abruptly resurface and cause surprising revelations right up to the very end. 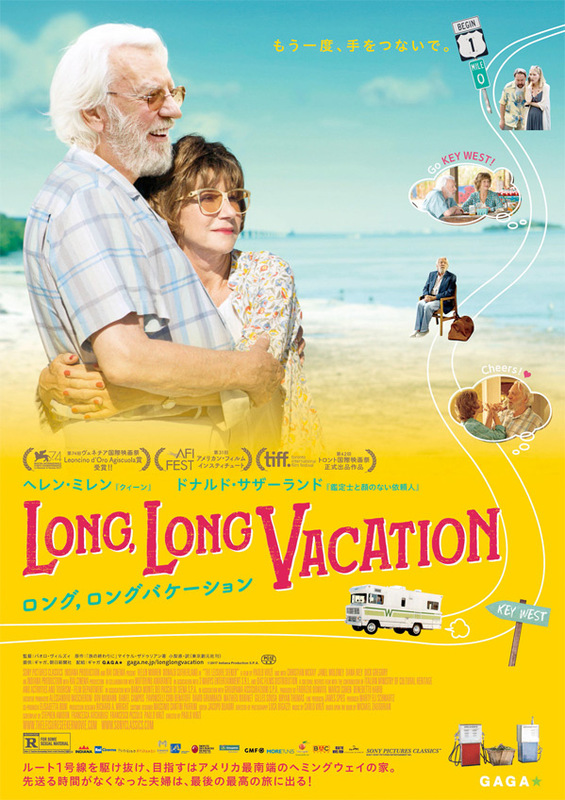 The Leisure Seeker is directed by Italian filmmaker Paolo Virzì, of the films Kisses and Hugs, My Name is Tanino, Napoleon and Me, The First Beautiful Thing, Every Blessed Day, Human Capital, and Like Crazy. The screenplay is written by Stephen Amidon and Francesca Archibugi and Francesco Piccolo and Paolo Virzì; adapted from Michael Zadoorian's novel. This premiered at the Venice and Toronto Film Festivals last year. Sony Classics will release The Leisure Seeker in select theaters starting on March 9th.